We are an extraordinary organization having top of the line capability in assembling, supplying and sending out Terminal Block Bus Bars. 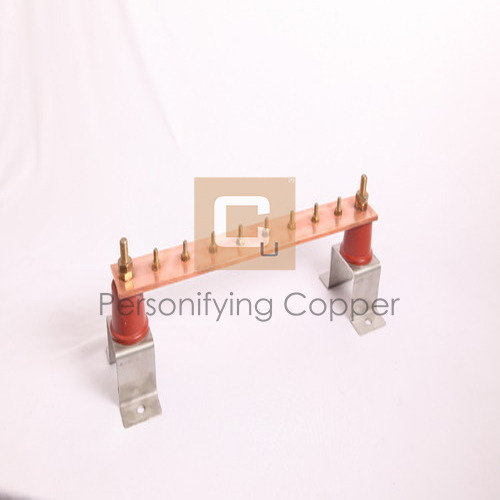 Our offered extended items are created from copper balance that gives great consumption resistance qualities and fine toughness against mechanical and warm stuns. These bars are to a great degree sturdy and solid. They special configuration makes them exceptionally impervious to consumption. Wooden Boxes: Copper products will be wrapped with plastic, Hessen cloth & that bundles put into wooden boxes. Plastic Packing: Copper products will be wrapped only with Plastic. Hessen Cloth Packing: Copper products will be wrapped with Plastic and then with Hessen cloth. Citizen Metalloys is a leading manufacturer of copper Bus Bars, Rods, Sections and Components. The total production capacity is 4000 tons with 100 number of employee. The factory is located at Chhatral, Dist. Gandhinagar, Gujarat, India is the first manufacturer of Copper extruded products & components in India having ISO 9001:2015 (Quality Management System), ISO 14001:2015 (Environmental Management System) & BS OHSAS 18001:2007 (Occupational Health & Safety Management) and Government Recognized Star Export House. Being a leading exporter we are exporting to 40+ countries worldwide. Also awarded for Star performer in western region for last five consecutive years through EEPC-Engineering Export Promotion Council of India.